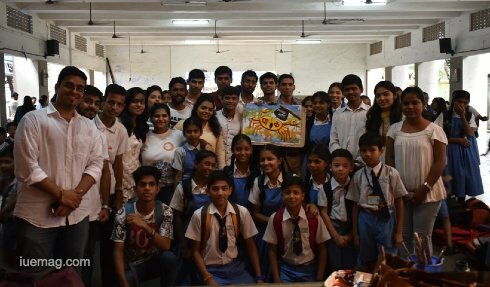 Youngsters of Morsel of Hope organization came together for this Independence Day and took to celebrate the spirit of freedom and patriotism with young school children of Mumbai with a single objective of interacting with them and educating them about the role and value of the Indian Army. This positive and honest intention took the shape of KALAKAR. Read on to know the excerpt of this beautiful initiative taken by MOH. India celebrated its 70th Independence Day last week and with 70 years gone by we have lived through 70 different shades of freedom. Though we rejoice over the end of British Tyranny on our lands and our people, it is to be acknowledged that we have come a long way since. Today we are one of the major economies in the World and the joint efforts taken to reach this point has been immense. And one such to pave this path has been the Indian Army. Undoubtedly, their contribution to Nation Building is humongous. Ensuring National Security, defending the nation from external aggressions, attending to internal threats, commanding rescue operations, there are innumerable roles the army plays to ward off the constant harm and be our Saviour at every moment. With these sentiments Morsel of Hope organization took a unique initiative to honour that Unknown Soldier, our brother who in real sense is the Hero of our lives. 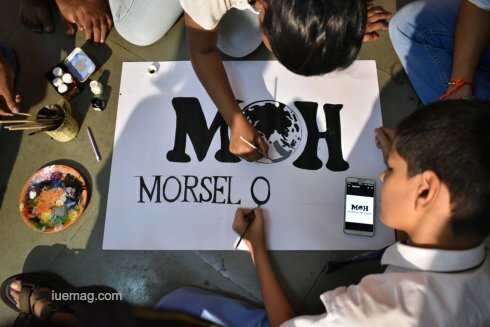 Morsel of Hope (MOH) is an organization that was formed by a group of youngsters with a sole intent to make changes in the society they wish to see themselves. On the occasion of Independence Day the team comprising of the members and volunteers made a resolution to connect the spirits of the Indian Army, their work and glory with the younger minds and share with them the essence of Patriotism in the right form. This objective resulted in the form of “KALAKAR”. 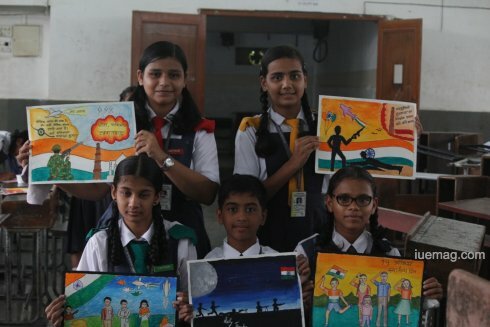 KALAKAR: a drawing competition that was held across many schools in Navi Mumbai obtained a participation of a large number of students as School Authorities zealously encouraged this fresh initiative. 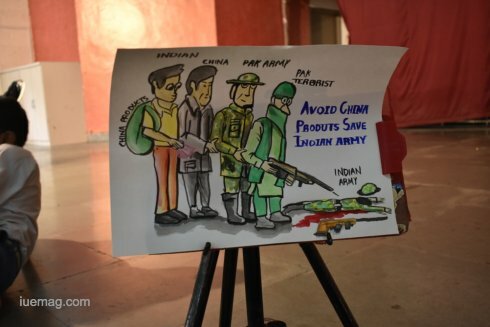 The most astonishing object of this event was that these drawings were readily sent to those in the Indian Army as a sentiment of love and gratitude to the real heroes of our nation from school students. The theme of creation was “The Indian Army” and just with that was the awakening of creative spaces in the minds of the young. Every child had something to express and that was the most beautiful part of the whole event. Their love for their country, gratitude to the soldiers, their opinions on war and peace, their concept of secularism were expressed with real emotion and they were in the form of drawings, paintings, poetry, songs and personal messages. MOH team had the most joyous 3 days interacting with these students and the event was carried out with all smiles and laughter. Day 1: Thursday, 10th August was one blooming day for all the members of Morsel Of Hope team as they geared up for the first day of KALAKAR. Students of ICL Mon Ami School were ready just as the team reached. Students from 5th to 9th standard participated in the competition. Before the competition started MOH members had a collective interaction with the kids regarding the essence of patriotism and the importance of the occasion for which the event was to be conducted. The response that was received from the students was absolutely overwhelming. Along with the drawings and sketches many wrote letters expressing their concern and love for our brothers who are out there protecting us and it was not only the students but also the teachers who had something to share. The Supervisor of ICL Mon Ami School, Mrs. Anita was swept with emotions while sharing her own bit. She said, “Ours is one of the oldest civilizations with a rich history and diverse culture. We have flourished in almost every field and with so much to preserve and so much to share, we must be proud to represent our country and step forward to glorify it. I wanted my son to be in the Army but I believe that we all serve our nation in some way and that is most significant.” She also had warm wishes for the team encouraging them for the future events as well. The first day concluded with content and happiness for the students as well as the team. Day 3: The 3rd and the last day of the competition was held in Modern School of Vashi. Students of both English and Marathi medium participated in the competition. Language was never a barrier and so the young champions had all room to express their thoughts. 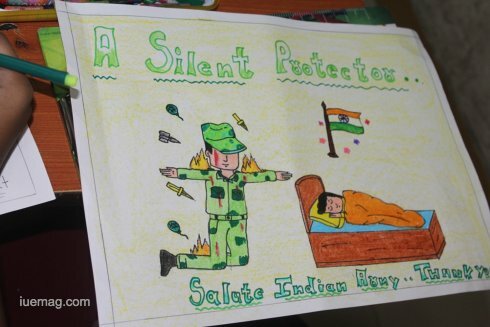 Many students wrote personal letters to the soldiers in their own innocent style which was an endearing mannerism. MOH team encouraged the students to not limit themselves and ensured their involvement as much as and in every way possible. 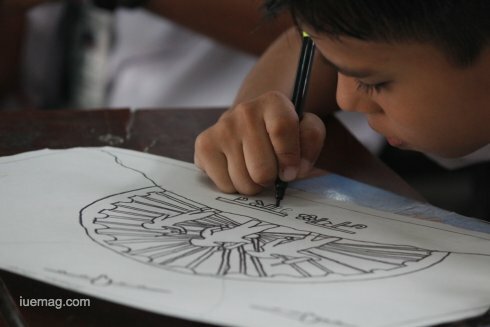 Young as they were, it was surprising to witness the students’ imaginations on paper. The artworks created were fastidious and beautiful and yet they didn’t just limit themselves to the traditional ideas of patriotism and country love but unleashed themselves to all the knowledge they possessed of the subject. The drawings contained satire, humour, allegory, tragedy, love, dark nature of society, secularism and the realisms of desire. It was all a positive and striking message to be sunk in. With all the students happily engaged in their drawing sheets, it was just enough to even tempt the teachers. Farde Sir from Modern School took a canvas sheet and portrayed an Allegory through his painting. Students crowded to see their professor’s work and cheered for him. Their happiness knew no bounds. The event was a largely successful one and Morsel of Hope team was convinced that they would conduct KALAKAR in many more schools in the future. The most genuine feedback received was surge of happiness the students felt after completing their drawings and sketches. It was a day well spent by all and the young minds had so much to take away. They had newly attained knowledge about the country, many facts they never knew but more than that was the privilege to know how much love and gratitude they had for their country. Any facts, figures or references stated here are made by the author & don't reflect the endorsement of iU at all times unless otherwise drafted by official staff at iU. This article was first published here on 26th August 2017.